Attack 2 : Mudkip Calling! 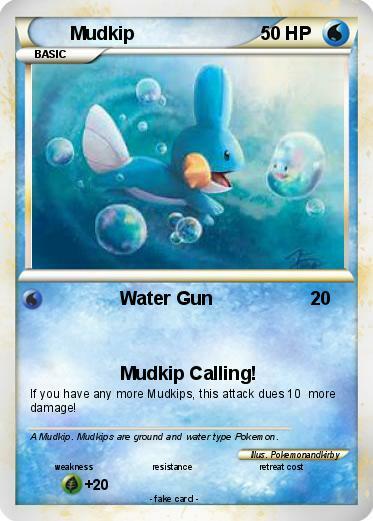 If you have any more Mudkips, this attack dues 10 more damage! Comments : A Mudkip. Mudkips are ground and water type Pokemon.